Glass Beach is a unique beach, not because nature made it that way, but because time and the pounding surf have corrected one of man’s mistakes. 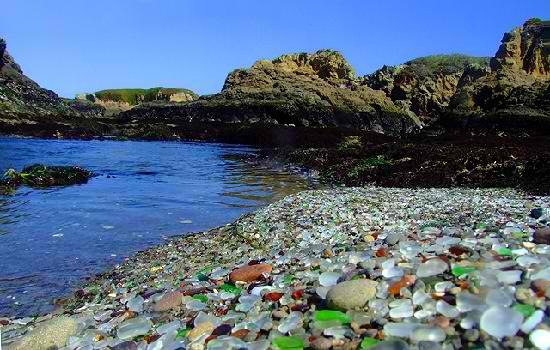 In the early 20th century, Fort Bragg residents threw their household garbage over the cliffs above what is now Glass Beach. It is hard to imagine this happening today, but back then people dumped all kinds of refuse straight into the ocean, including old cars, and their household garbage, which of course included lots of glass. 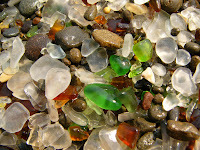 The Glass Beach in Fort Bragg CA is also called Mermaids Tears, Lucky Glass, Ocean Glass and Sea Gems. Today, it is filled with rounded bits of sea glass. They glisten in the sun like little marbles. 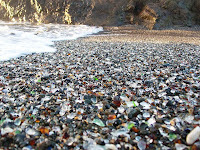 Fort Bragg CA has become a popular tourist destination in California because of this beautiful and unique Glass Beach. Once you go there, you will be tempted to grab some of these little glittering jewels as kids would collect seashells. However, the Glass Beach is part of MacKerricher State Park, and the state prohibits collecting these sea glass. To make up for it, this unique beach in Fort Bragg CA makes an excellent place for photographs. It’s a pretty incredible sight with the sea glass several inches thick in some areas on the beach. Best time to visit Glass Beach in Fort Bragg CA is during mornings when the tide is low. 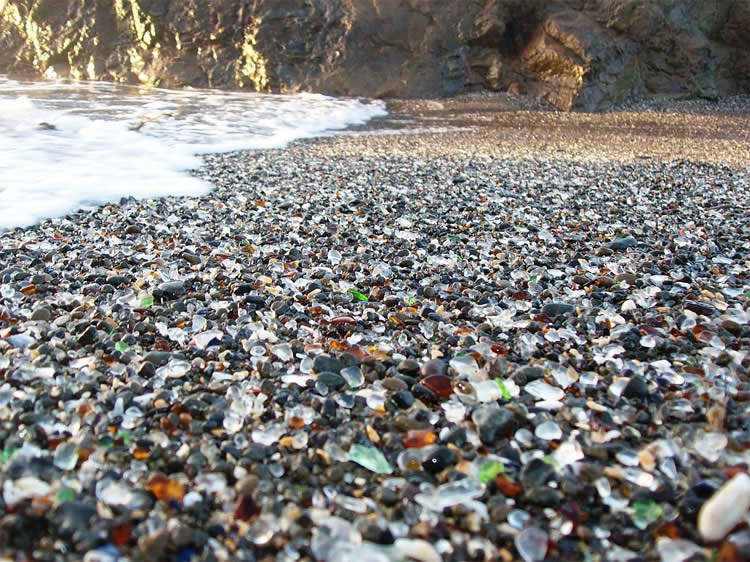 That’s when more of the sea glass is exposed for your viewing pleasure. During evenings the tide is high, which makes it quite difficult to spot the sea glass. In either time, be sure to wear shoes. After all, this is an old dump site so the odd piece of debris (metal or old spark plugs) can pop up. There are also tide pools to explore, which is another reason for going during low tide periods.